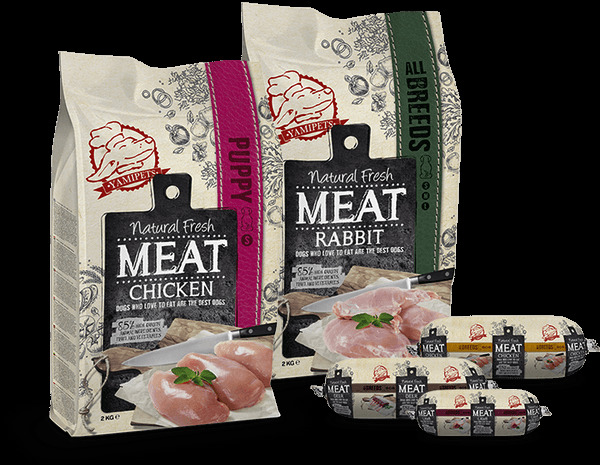 Natural Fresh Meat range offers two types of puppy food: Puppy S for small dogs, and Puppy M-L for medium and large dogs. Puppy S is based on chicken, and M-L on salmon. Both products are completely grain free. 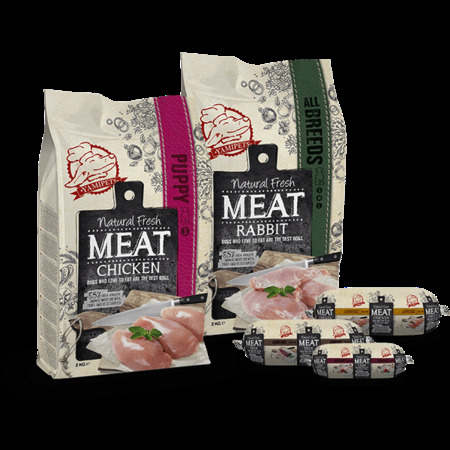 To give puppies of all breeds a healthy growth, we offer two puppy feeds in our Natural Fresh Meat assortment. The Puppy S for small dogs and the puppy M-L for medium and large dogs. The Puppy S is based on chicken and the M-L on salmon. Both are completely grain-free.